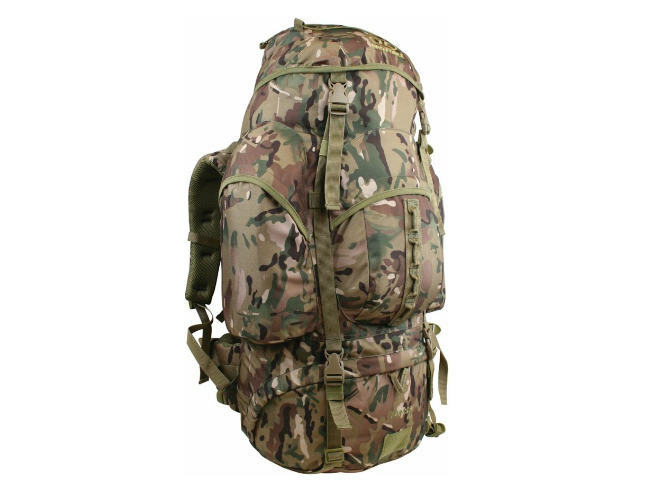 Superb style 66 litre multicam rucksack. Made to MOD standards. These are tough and reliable rucksacks that are great for cadet camp. Xtp 1000d polyester fabric with air mesh adjustable back system.Improved larger side pockets,Duraflex buckles,10 gauge self repair zips, draw cord snow closure,large front pocket and tough nylon. Lining,waterproof with water repellent fabrics and comes with a hydration port.